Since we’ve first introduced AliDropship Google Chrome extension, over 35,000 people across the globe have downloaded and installed it. 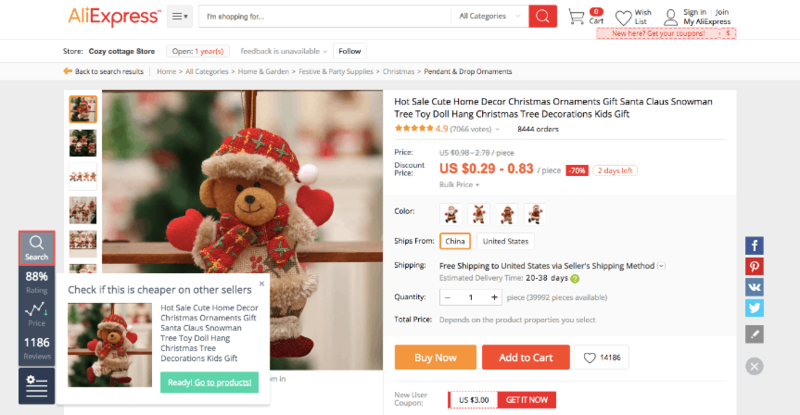 Every day, they use the extension to find the most awesome AliExpress products, and to import them to their stores in a single click. We thought it’s the high time to improve their experience! 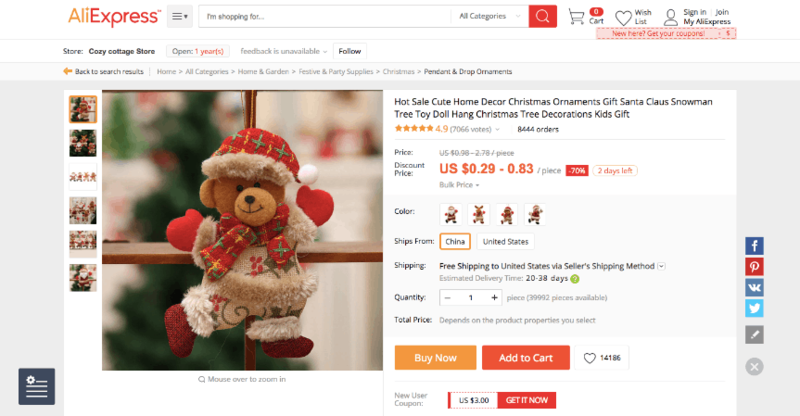 What’s AliDropship Google Chrome Extension? In case you’re not one of its 35,000 users, here’s a brief introduction of this tool. 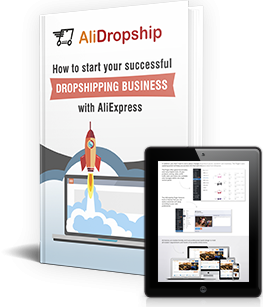 This FREE solution is specifically designed for AliDropship plugin users and store owners. Simply speaking, it’s an app that you download and integrate into your Google Chrome browser. 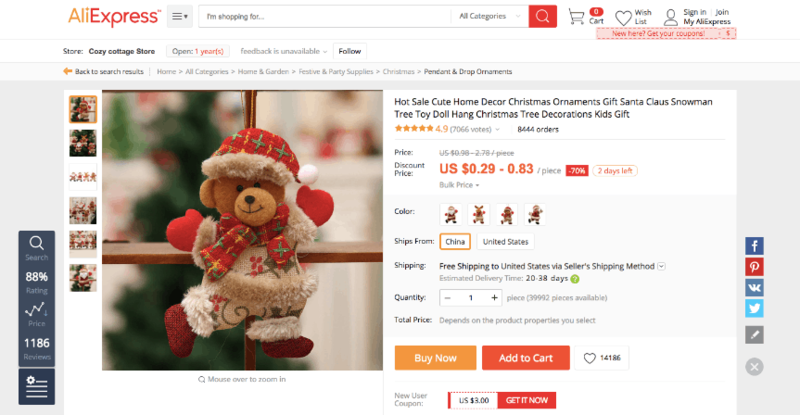 When you have this extension installed and activated, you can import products to your store directly from AliExpress. 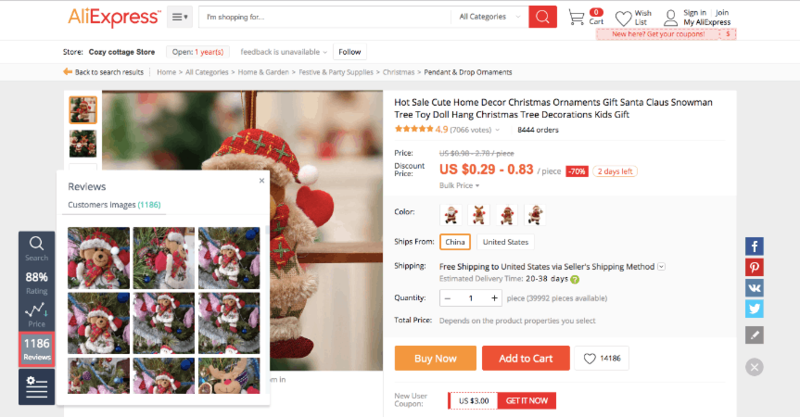 This way, you simply go through AliExpress pages, click on the items you like, and they appear in your store’s product database! Later on, you can manually edit the product info of these items and publish them. Therefore, you will make them visible to your website visitors. Seems like a perfect find for a quick and convenient store management, right? But, there is always room for perfection! What’s new in the AliDropship Google Chrome Extension? We didn’t simply change its appearance – we’ve added some new functionality to this tool, and made sure all the familiar features are the best they can be. 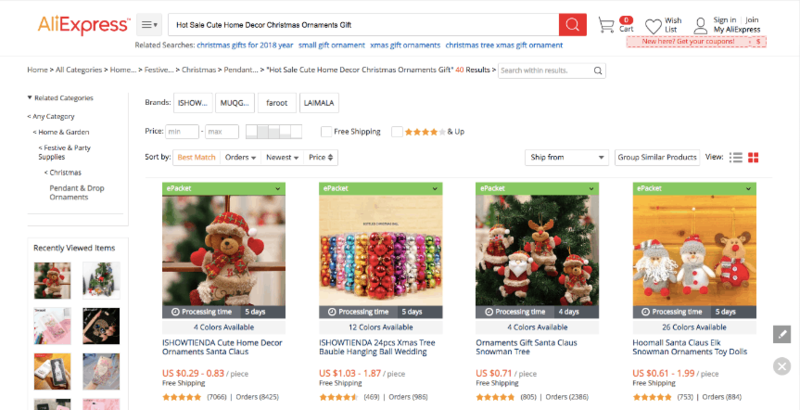 Now, let’s see what happens when you visit AliExpress product pages with the AliDropship Google Chrome Extension activated. As you can see, there is a tiny and elegant grey element on the left side of the product page. That’s how the new extension looks like! 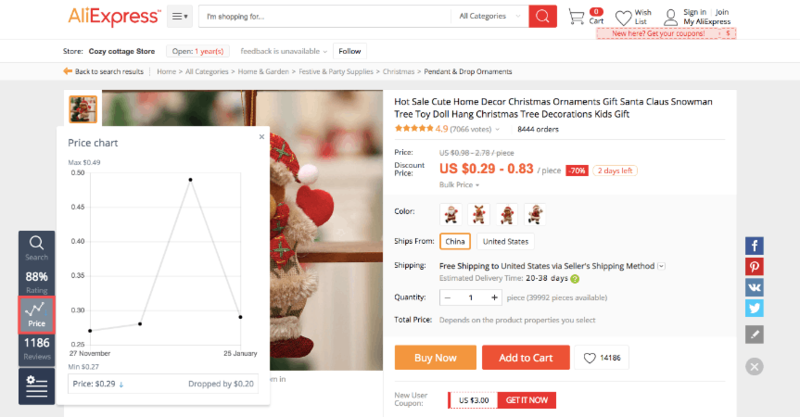 A tiny pop-up window appears, and it offers you to check if some other AliExpress sellers offer the same item for a lower price. You will be redirected to a new page with the search results. Here, you will see a range of the identical products, so you’ll be able to pick one with the lower price if you want to. A pop-up window opens, and it gives you a detailed stats on this particular seller’s performance and reliability. You can see the store’s rating and our recommendations on whether you should work with it or not. Certainly, it’s a quick and easy way to see if your dropshipping business will benefit from this particular seller. Now, what’s about the third icon – the one with a graph and a tiny green arrow? That’s a completely new feature that the extension has never had before. The extension collects the data about the product price changes over time. So, here, you can see a graph describing the seller’s pricing policy with regard to this particular item. The green downwards arrow means that right now, this product price is lower that it used to be – so, it’s the perfect moment to add it to your store offer! But, is the extension shows a red upwards arrow for this particular product, it means that its price has increased. It’s a signal to wait until it drops again – or to look for the alternatives from other sellers. Now, let’s check what happens if you click on the fourth icon in the extension menu. Oh, that’s a completely new thing, too! Here, you see the number of buyers’ reviews that contain photos. So, from now on, when you open a product page on AliExpress, you don’t even need to scroll down to the Reviews tab – you already have the essential information right in front of you! In this window, you see the photos taken and submitted by the actual previous buyers. You can easily compare them to the picture gallery offered by the supplier. This way, you will see whether the product quality matches the seller’s description. If you have already viewed all the product details and don’t need the extension tab anymore, you can minimize it. To do it, just click on the lowest icon. To see the full-size extension tab again, simply click on this icon once more. And of course, just as usual, the extension does its main function: it provide a direct product import right on your website! So, as soon as you’re sure this product is exactly the thing you’re looking for, just hit on the ‘Import’ button on the top of the AliExpress page. After this, the item will instantly appear in your Import list. You’ll be able to publish it and make it visible to everyone as soon as you edit the product page and bring it to perfection. Alternatively, you can click on the ‘Edit’ button, and start making your changes right here, right now! It’s up to you to decide how to organize your working process in the most convenient way. So, how exactly will your business benefit with the new extension? Let’s go through the most important points! Make your product importing process easier than ever! 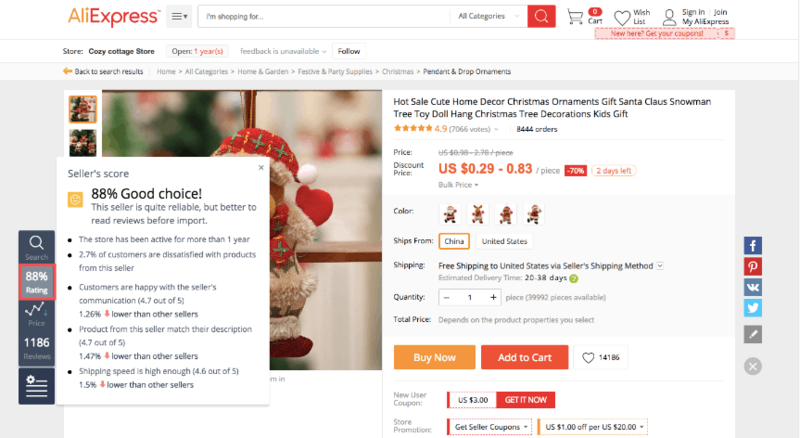 You can browse the AliExpress products as long as you want, research them in detail, and then simply click on a single button to make them appear on your website. Do you love the product, but feel there’s something wrong about this particular store? There is no need to search for the alternatives manually: a single click on the ‘Search’ button will help you out. Everything you need to know about the store’s reliability is collected in one short and informative profile text. We even provide you with our own recommendations regarding the choice of this seller! Do you know whether it’s the perfect moment to import this product on your website? See how it price has changed recently, and make a well-grounded decision! Does the product quality matches the description? Check it in seconds thanks to the real-life buyers’ reviews and the photos they share! Any technical questions left? Read this guide to learn how to install and activate the extension on your website! 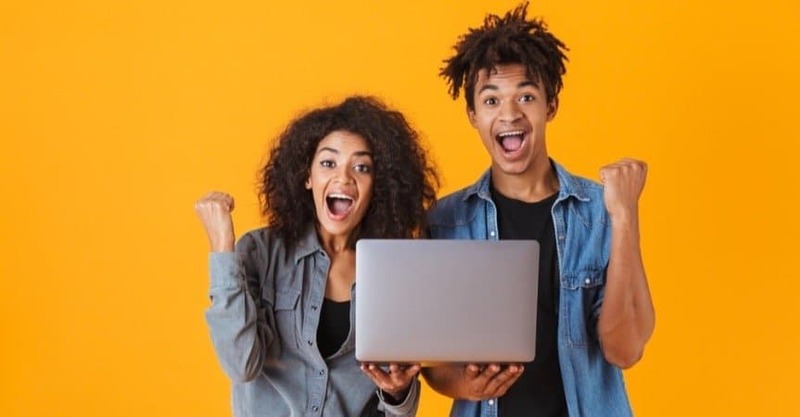 Our team is happy to make your business life easier – and to open up new dropshipping opportunities for you. 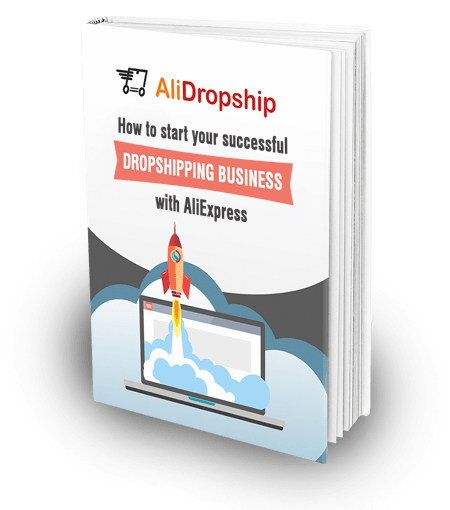 We hope that the new AliDropship Google Chrome Extension will make a difference in your dropshipping store management. We can’t wait to see your feedback in the comments section below! Great update! I don’t see the “tiny and elegant grey element on the left side of the product page.” (version 2.7.7.15 of the extension) . Who can help me debug? Disable other extensions, including Adblock. Please re-install extension and disable all other extensions.